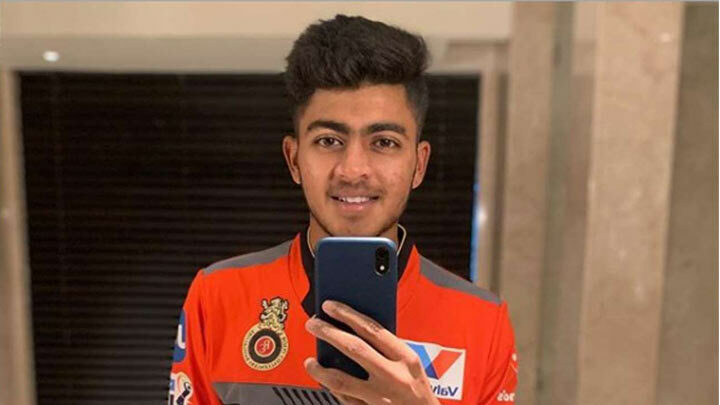 There is a big reason why 16-year-old Prayas Ray Barman is a ‘Wonder Boy’ of IPL 2019. Let’s go back to December 18. Yes, that’s exactly when Prayas Ray, a little-known leg-spinner was picked up by Royal Challengers Bangalore for a whopping Rs. 1.5 Cr. When the bidding war started at the auction to acquire the services of Prayas, he was sitting back at home in Kolkata, watching the proceedings unfold. But, he surely wouldn’t have expected such a huge price. “I never expected that I would be even picked up, leave alone going for that amount,” said Prayas. “I was watching the auctions, waiting for my turn but never expected anything. But, when it happened, it was such a great feeling. I was surprised, for sure,” he added. Prayas picked up 11 wickets for Bengal in the Vijay Hazare Trophy in nine games, earlier this season. He first came into the limelight, when he returned with impressive figures of 4/20 on debut against Jammu & Kashmir. He carried on producing decent performances throughout the tournament. With an economy rate of just 4.45 in the nine matches, he was called up to the Bengal Ranji Trophy squad at just 15. Prayas is yet to make his first-class debut. Prayas has a classical leg-spinner’s action and relies on his stock delivery to deceive the batsmen. He is 6’1 and has all the variations in his armory to succeed at the top level. “I prefer bowling my stock ball that is your leg-spin, most of the times. I do have variations, but I don’t count on those variations, I like to concentrate more on my leg-spin,” says Prayas. The journey of Prayas as a cricketer started at an academy in Delhi. However, his professional career only started to take shape when he moved to Durgapur, in Bengal. Under the watchful eyes of his coach Shibnath Ray, he joined Durgapur Cricket Centre. After Prayas caught the attention of selectors in a local tournament, he shifted his base to Kolkata. He was selected for Bengal U-14 and U-16 sides and now stays with his grandparents. “I played a tournament here in Kolkata and it went well and post that I was selected in the U-14 teams. That is where my journey started in Bengal cricket,” remarked Prayas.